The KRONMAT Company offers a wide range of loft ladders sold under the OptiStep brand name and equipped with a wooden as well as metal scissors ladders. 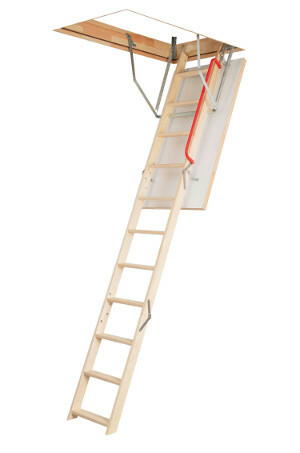 The OptiStep loft ladder combines functionality with high durability at an optimum price. 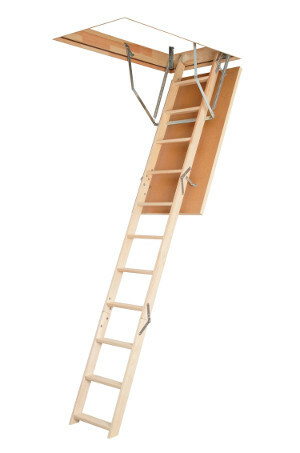 Good quality wood together with high quality of manufacture guarantee that the products we offer can perfectly suit any interior. 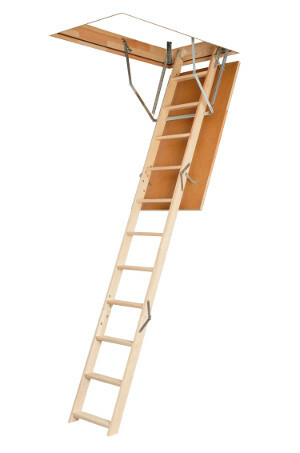 Loft ladders provide quick and safe access to the loft or attic space. 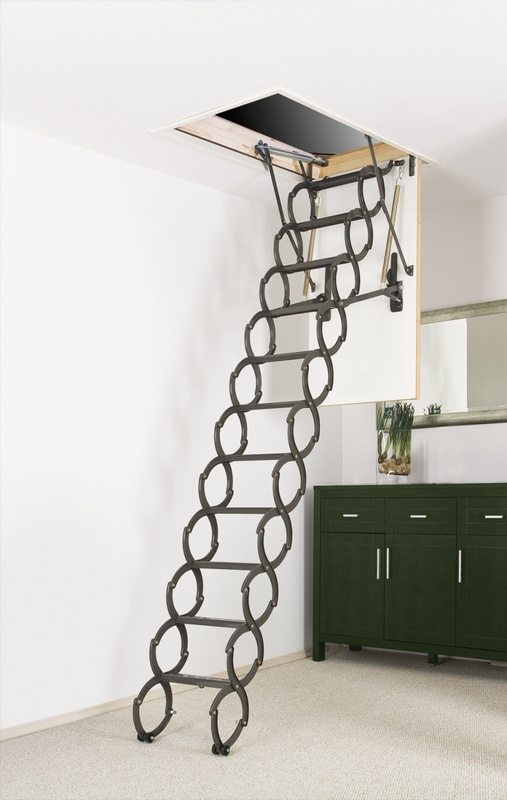 When folded, they hide in the ceiling, thus freeing space inside the room. 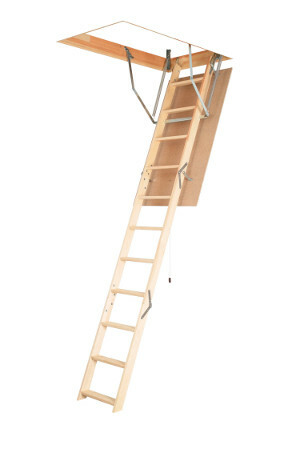 The section loft ladder is equipped with a steel crossbar transferring the load to the ladder which in combination with applied material solutions provide high strength and durability of the product. 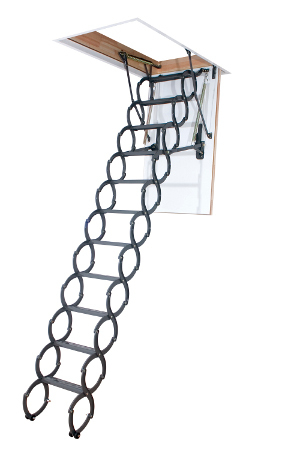 Additionally, a specially designed hinge controls the movement of the hatch so that during opening the ladder automatically shifts away from the hatch, thus increasing space for convenient and safe operation of the loft ladder.